Q. What is Chemistry Guru Academy? A. Chemistry Guru Academy is a learning centre set up to provide JC Chemistry Tuition. We are registered with MOE (Certificate of Registration of School No. 4300). Currently only A Level H2 Chemistry classes are available. Q. Are you the person conducting the classes or do you engage other tutors to do that? A. Please be rest assured that I conduct all my classes personally. I do not engage other tutors as it will compromise on teaching quality. Q. Do you teach other subjects or offer 1 to 1 lessons at the student's place? A. I only specialise in H2 Chemistry Classes at my centre. Hence I do not offer other subjects or one-to-one private tuition due to my packed schedule. Please see proof of my teaching experience and qualifications here. Q. How well do your students perform after attending Chemistry Guru classes? A. Most of my students showed marked improvements in their results by at least 3 grades after attending my classes and attained distinction for A Levels. The earlier the students join my classes, the more confident I am in improving their grades. Please see results and testimonials of my past batches of students since 2010. Q. What is your class size? A. Usually the weekend classes are more popular and hence larger. On average, a weekday class is around 4 to 6 students while a weekend class is around 10 to 12 students. Q. If I miss a lesson, is there a makeup? Would there be a refund of fees if I cannot make it for the makeup lesson? A. Students have to arrange for makeup lesson with me, subjected to availability, in the same week. If makeup class is not possible, the student will receive a copy of content covered for the missed class and can view the missed lessons at our online learning portal. No prorating of fees is allowed. Q. Where are the classes located? A. All classes are located at my centre at Bishan Central, walking distance from Bishan MRT. View our location on GoogleMaps or Apple Maps for iOS users. A. Fees for JC Classes are $400 for a four-week month and $500 for a five-week month. Register by this month and enjoy a promotional locked-in rate of $360 for a four-week month and $450 for a five-week month. The fees will be collected at the first lesson of each month. Please note that refund of fees is strictly not allowed. No additional administrative or material fees is required. Q. How do I sign up for your trial lesson, and how much do I have to pay for it? A. You can Whatsapp or SMS me to sign up for the class you are interested in. The fees payable for the trial lesson are $50 (half price promotion). Q. What are your payment modes? 1. 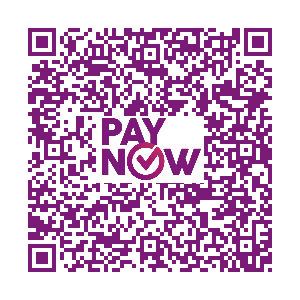 PayNow via UEN: 5314 8951E or following QR Code. Under "Reference" please key in student's full name for verification purposes. 2. Cheque made payable to CHEMISTRY GURU ACADEMY. At back of cheque please write down student's full name for verification purposes. Q. How is a typical lesson like? - share how to keep answers accurate and concise. Short notes, summaries, and practice questions will be given to students. Q. Do you follow a lesson schedule according to a specific JC? A. My students are from various JCs hence the schedule would not follow any college in particular. The sequence of topics that I am covering is based on my experience and would prepare students well for their exams. - if the topic is not yet taught, then treat it as an opportunity to learn it first. Either way, you have additional practice on the topic and it will do you good. Ultimately all students will be taking the same A Levels so all topics covered will be relevant and useful. Take a look at the results and testimonials and discover why hundreds of students have attended JC Chemistry Tuition with us.